Ms. Raghida Dergham is columnist and senior diplomatic correspondent for the London-based Al Hayat, the leading independent Arabic daily. She writes a regular weekly strategic column on international political affairs. Ms. Dergham is also a member of the International Media Council of the World Economic Forum, composed by 100 of the most respected and influential media figures worldwide and was named one of the 100 Most Powerful Arab Women in 2011. 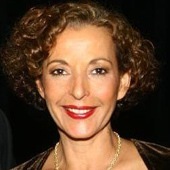 She served as a political analyst for NBC, MSNBC and the Arab satellite LBC for 8 years. 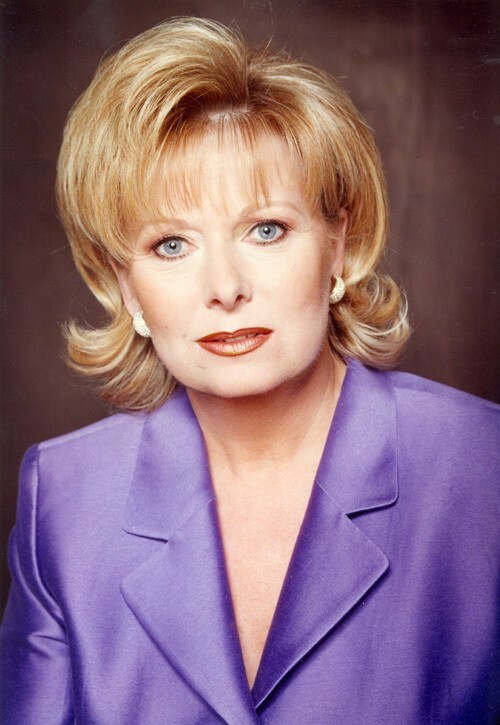 Ms. Dergham is in the State University of New York’s Hall of Fame as a Distinguished Alumna and received an Honorary Doctorate of Letters in 2003. 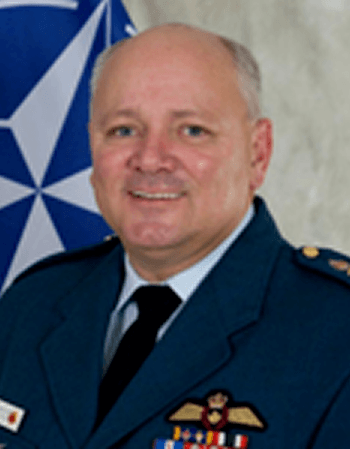 Lieutenant-General Charles Bouchard is commander of the Combined Joint Task Force Operation Unified Protector and deputy commander of Allied Joint Force Command Naples. Previously, he was deputy commander of the Continental US North American Aerospace Defense Command Region at Tyndall Air Force Base and deputy commander of North American Aerospace Defense Command. Lieutenant-General Bouchard is a graduate of the Canadian Forces Staff School, the Canadian Land Forces Command and Staff College, the National Strategic Studies Course, the Combined Forces Air Component Commander Course, Maxwell Air Force Base, and the Senior Executives’ National and International Security Program at Harvard University. He holds a B.A. in political studies from the University of Manitoba. 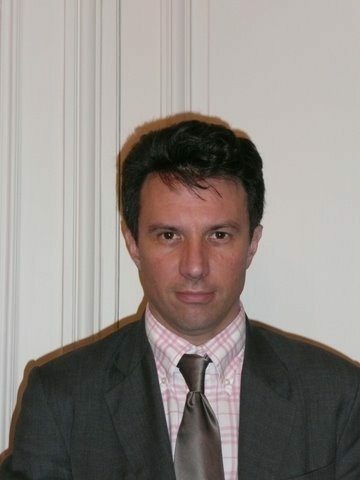 Dr. Camille Grand has been the executive director of the Foundation for Strategic Research, the leading French think tank on defense and security, since September 2008. Prior to this assignment, he was deputy director for disarmament and multilateral affairs in the directorate for strategic, security, and disarmament affairs of the French Ministry of Foreign and European Affairs. 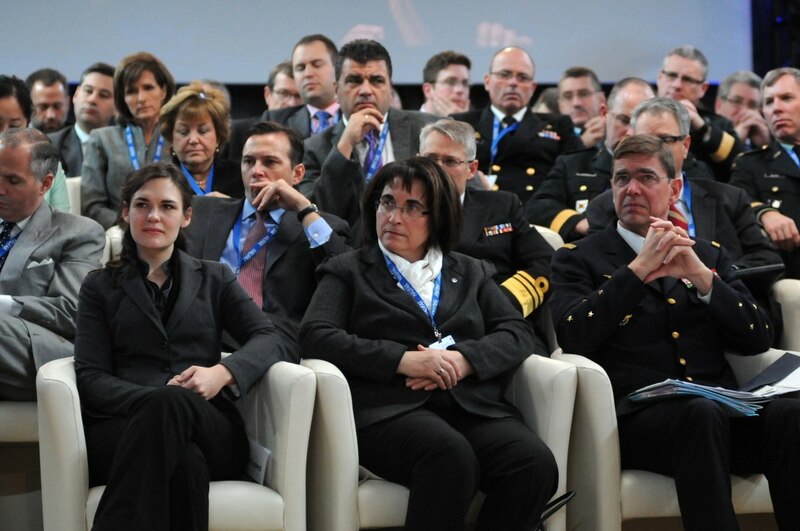 Dr. Grand was previously the deputy diplomatic adviser to French Defense Minister Mrs. Alliot-Marie. He also served as an expert on nuclear policy and nonproliferation in the Strategic Affairs Department of the French Ministry of Defense. Dr. Grand has taught graduate courses in international and security affairs at Sciences Po Paris and at the Ecole Nationale d’Administration. Dr. Grand primarily focuses on current strategic affairs, including European security, nuclear policy, nonproliferation, and disarmament. The Honorable Suat Kınıklıoğlu is a member of the Justice and Development Party’s Central Executive Committee and director of the Center for Strategic Communication in Turkey. From 2007 to 2011, he served as a member of Parliament and the party’s deputy chairman of external affairs. Mr. Kınıklıoğlu was spokesman of the Parliament’s Foreign Affairs Committee and chairman of the Turkey-US Inter-Parliamentary Friendship Group. Mr Kınıklıoğlu is currently a columnist for Today’s Zaman, an English-language daily. He was founding director of the German Marshall Fund office in Ankara. Mr Kınıklıoğlu began his career as liaison officer in the Turkish Air Force in 1986. He earned a B.Sc. in electronics from the Turkish Air Force Academy, B.A. in political science from Carleton University in Canada, and M.A. in international relations from Bilkent University in Ankara. He is currently pursuing a Ph.D. at Keele University in the U.K. 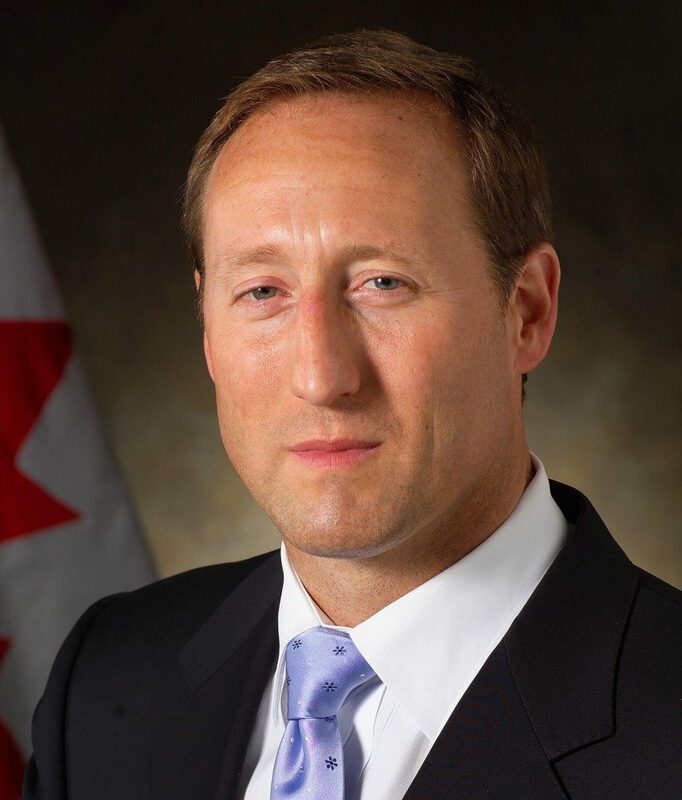 The Honorable Peter MacKay was first elected as a member of Parliament in Canada in 1997. He was re-elected in his northern Nova Scotia constituency in 2000, 2004, 2006, 2008 and 2011. On May 18, 2011, Mr. MacKay was reappointed as minister of national defence. 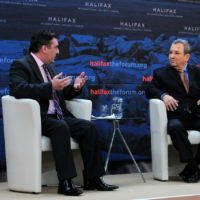 He also serves as regional minister for Nova Scotia. In May 2003, he was elected leader of the Progressive Conservative Party of Canada. 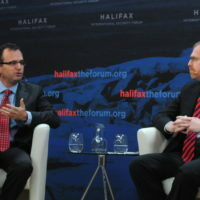 In March 2004, following the unification of the Progressive Conservative Party and the Canadian Alliance Party, he was named deputy leader of the Conservative Party of Canada. 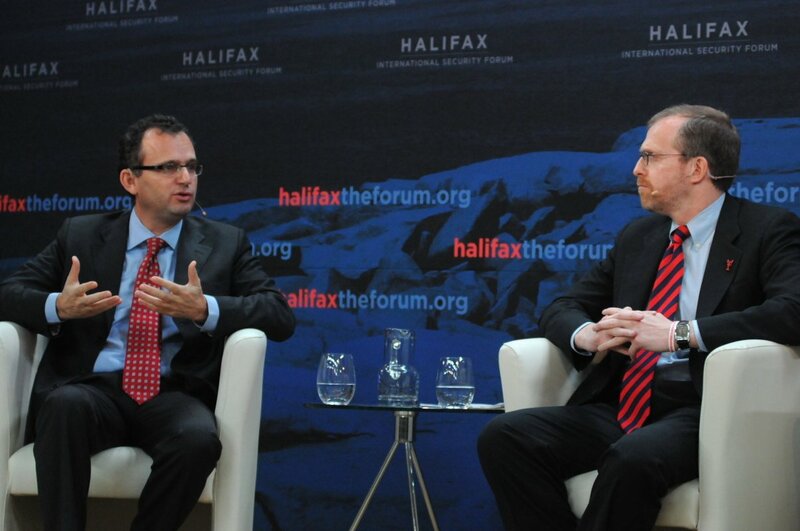 Prior to his most recent appointment, Mr. MacKay served as foreign affairs minister and minister of the Atlantic Canada Opportunities Agency. He holds an arts degree from Acadia University, studied law at Dalhousie University, and was called to the Nova Scotia Bar in June 1991. This panel examined the decisions we make as an international community when deciding whether or not to intervene in conflicts. The panel began the conversation by answering the questions: Do we only select the easier situations, and can states really create moral foreign policy, grounded in pragmatism and principle? 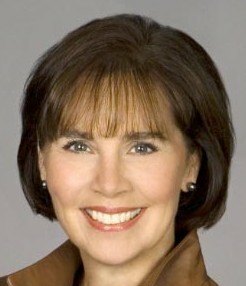 Ms. Kathleen Koch is an award-winning broadcast journalist and a former CNN correspondent based in Washington, D.C. Her two documentaries on Bay St. Louis’s recovery received a New York Festivals Gold Medal. She also shared in the Peabody Award that CNN won for its coverage of Hurricane Katrina. Ms. Koch began her television career as a reporter and weekend anchor for the ABC affiliate WLOX-TV in Biloxi, Mississippi. She spent 18 years at CNN covering the White House, the Pentagon, Capitol Hill and aviation. Ms. Koch currently serves on the USM School of Mass Communications and Journalism Advisory Board and on Rotary International’s 2010-2011 Alumni Advisory Committee. 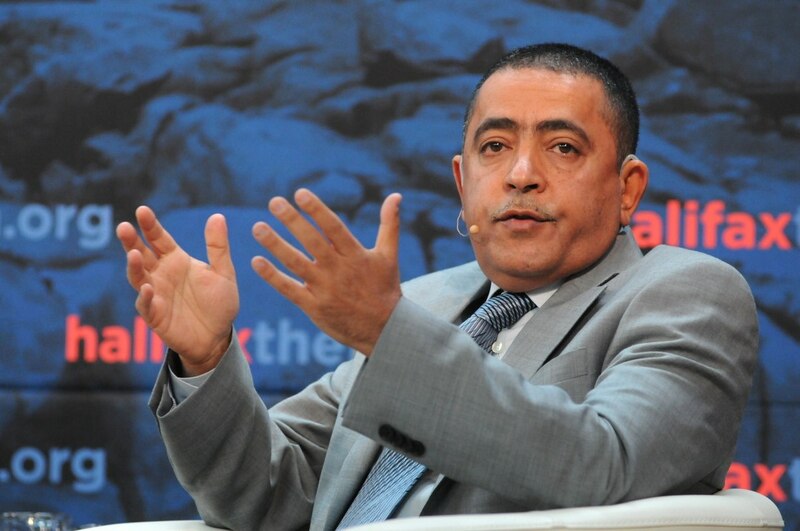 Mr. Mohammed Abu Luhoum is head of the Justice and Building Party in Yemen, which he helped establish in 2011. He resigned from the General People’s Congress (GPC), Yemen’s ruling party, on March 18, and joined the Youth Revolution. 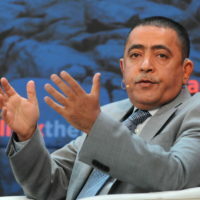 Sheikh Abu Luhoum served as head of the Foreign Relations Department at the GPC from 2004 until 2007. Between 1990 and 1993, He served as a member of Parliament in Yemen’s first parliament after the unification and founded the Republican Party of Yemen in 1991. 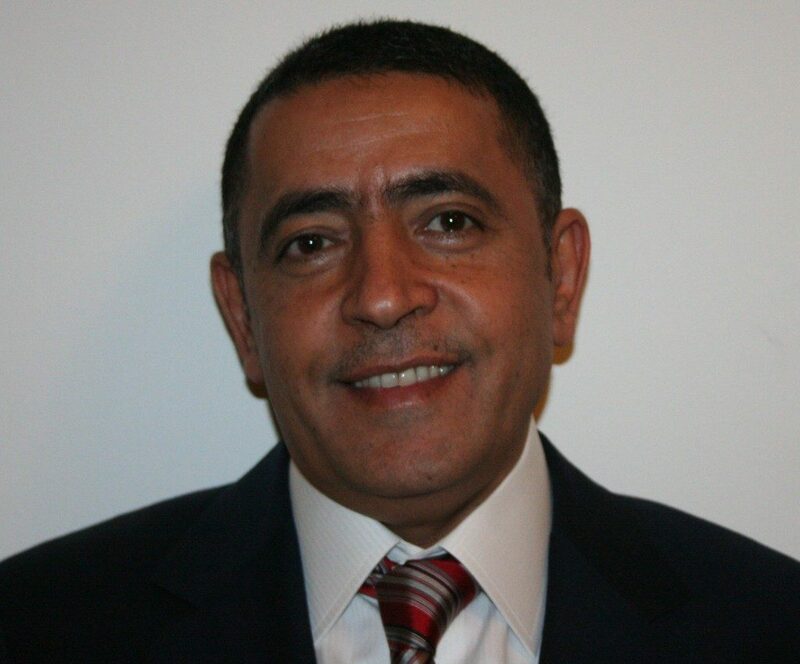 Over the years, Sheikh Abu Luhoum has served as chairman of various committees, focusing on the economy and development, and was director for bilateral relations at the Ministry of Development. He holds a B.A. and M.A. from George Washington University. 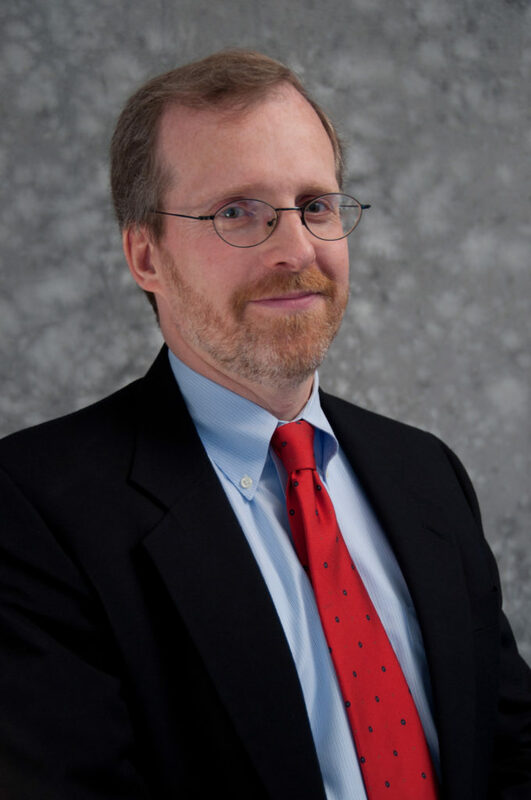 Mr. David J. Kramer is president of Freedom House. 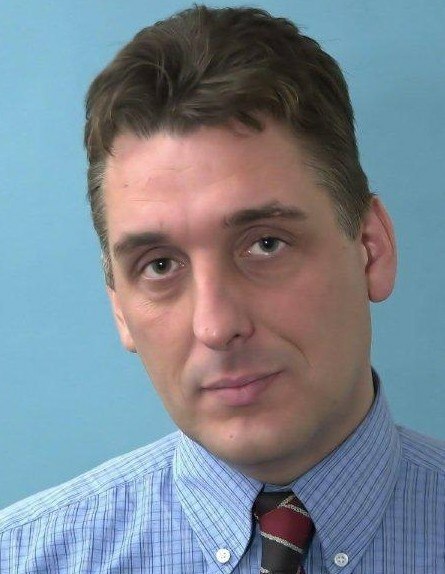 Prior to joining Freedom House in October 2010, Mr. Kramer was a senior transatlantic fellow at the German Marshall Fund of the United States and an adjunct professor at the Elliott School for International Affairs at The George Washington University. 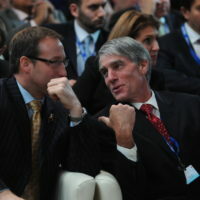 He also served as assistant secretary of state for democracy, human rights, and labor from March 2008 to January 2009 and was a deputy assistant secretary of state for European and Eurasian Affairs. Mr. Kramer also was a professional staff member in the secretary of state’s Office of Policy Planning, senior advisor to the Under Secretary of State for Global Affairs, and executive director of the U.S. Advisory Commission on Public Diplomacy in Washington. He received his M.A. in Soviet studies from Harvard University and B.A. in Soviet studies and political science from Tufts University. 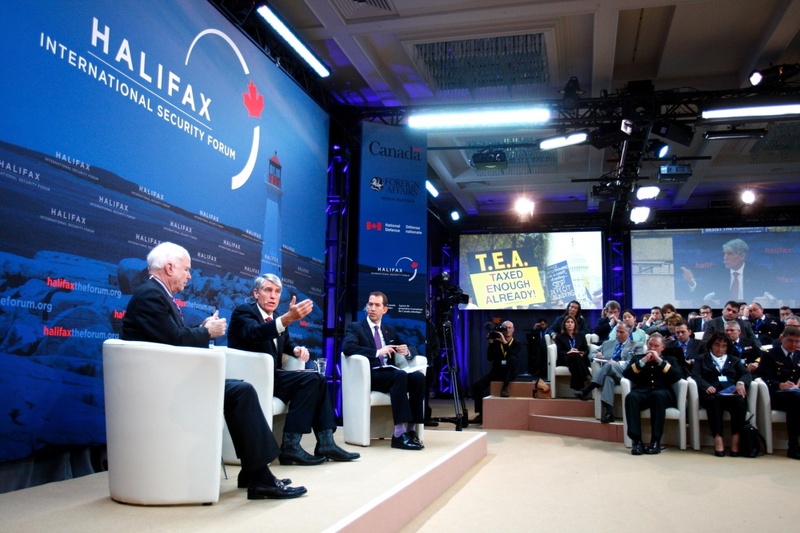 He currently serves as secretary of the board of Halifax International Security Forum. 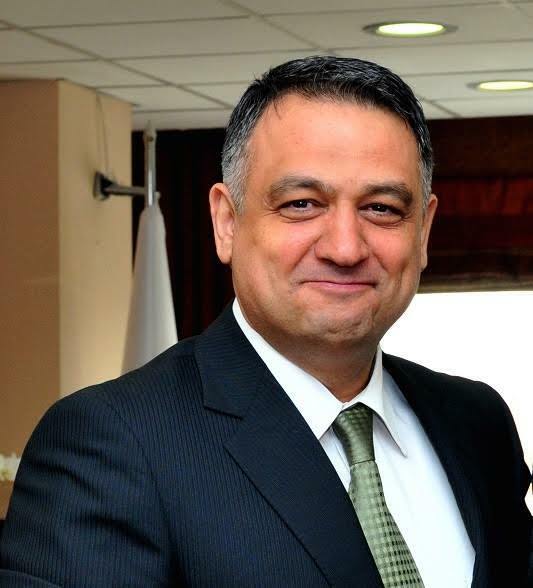 Mr. Paul Salem is the director of the Carnegie Middle East Center in Beirut, Lebanon. He works and publishes on regional and international relations of the Middle East as well as issues of political development and democratization in the Arab world. Prior to joining Carnegie in 2006, Mr. Salem was the general director of the Fares Foundation, and from 1989 to 1999 he directed the Lebanese Center for Policy Studies, Lebanon’s leading public policy think tank. In 2002, he was a member of the Senior Review Committee for the United Nations Development Programme’s Arab Human Development Report. In 2006, he served as a member of the National Commission for Electoral Law Reform in Lebanon. He is a frequent commentator on television and radio on political issues relating to the Middle East and Arab world. Mr. Salem is the author of a number of books and articles on the Middle East and writes regularly in the Arab press. 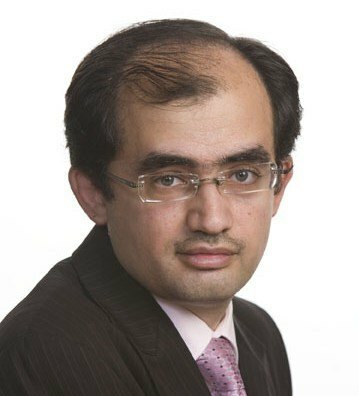 Dr. Radwan Ziadeh is a visiting scholar at the Dubai Initiative at the Harvard Kennedy School of Government and a fellow at the Institute for Social Policy and Understanding in Washington, D.C. He is the founder and director of the Damascus Center for Human Rights Studies in Syria and co-founder and executive director of the Syrian Center for Political and Strategic Studies in Washington, D.C. 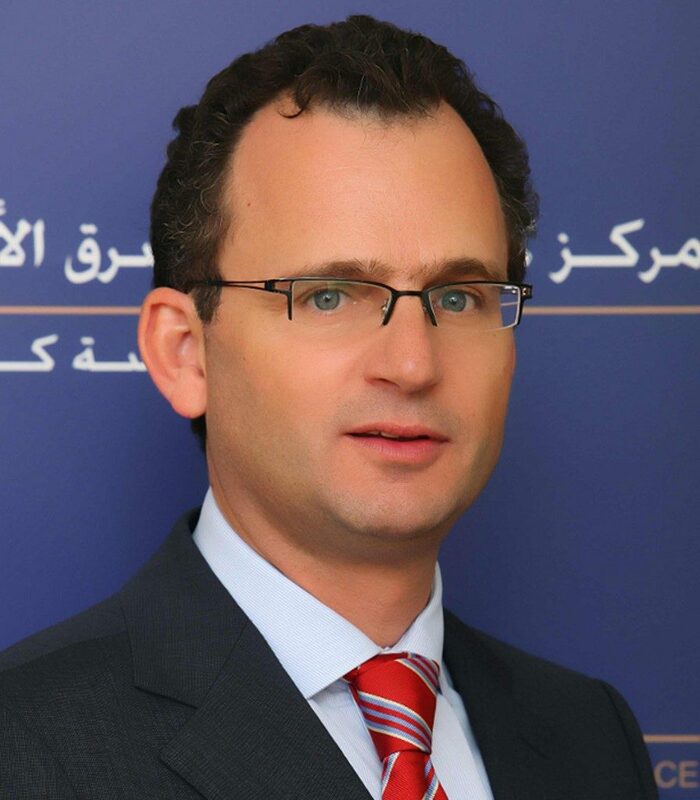 He is also the managing editor of the Transitional Justice in the Arab World Project. Before that, Dr. Ziadeh was editor-in-chief of Tyarat magazine and secretary of the Syrian Organization for Transparency. Dr. Ziadeh has been one of the major players in the “Damascus Spring,” a period of intense debate about politics, social issues and calls for reform in Syria after the death of President Hafez al-Assad in 2000. He is a frequent political commentator and writes a bi-monthly op-ed for the leading Arab daily, Al-Hayat. This discussion focused on the new and historic wave of democratization in the Middle East and North Africa this year, and what the Arab Spring could mean for the world. Also explored was how sympathetic democracies can accelerate progress in these countries. As we heard, it is harder to escape one’s history than it might at first appear. Building a democratic government, culture and society is slow and laborious, with no guarantee of success. Mr. James Hoge serves as chairman of Human Rights Watch. Mr. Hoge is the former editor ofForeign Affairs. During his 18 years as editor, Foreign Affairs more than doubled its circulation to an all-time high of 161,000 and also launched editions in Spanish, Japanese and Russian. Prior to joining Foreign Affairs, Mr. Hoge spent three decades in newspaper journalism as a Washington correspondent, then editor and publisher of the Chicago Sun-Times and finally as publisher of theNew York Daily News. Mr. Hoge has been a fellow at Harvard’s John F. Kennedy School of Government and the Freedom Forum Media Center at Columbia University. He has also been on the American Political Science Association’s Congressional program. He is the former chairman of the International Center for Journalists and a director of the Center for Global Affairs at NYU. Sound familiar? Participants brought a new perspective to this urgent issue, discussing the financial meltdown in Europe, the debt crisis, and how these events are affecting global markets and our security. The timing of this discussion is especially relevant, occurring just days before the U.S. Congress’ “Super Committee” deadline for voting on $1.5 trillion in deficit reductions. A failure to meet the deadline could trigger massive spending cuts across the board. — Mr. James Hoge, Jr.
Mr. Robin Shepherd is director of international affairs at the Henry Jackson Society, the London based think tank. Previously, he was head of the Europe program at Chatham House, the Royal Institute of International Affairs. He has held fellowships at numerous think tanks including the Woodrow Wilson International Institute for Scholars, the Center for Strategic and International Studies and the German Marshall Fund of the United States. Prior to entering the think tank world, he was a foreign correspondent, his last position being Moscow Bureau Chief for the Times of London. Mr. Shepherd writes for a variety of international publications and appears regularly in the international media. His most recent book is A State Beyond the Pale: Europe’s Problem with Israel. 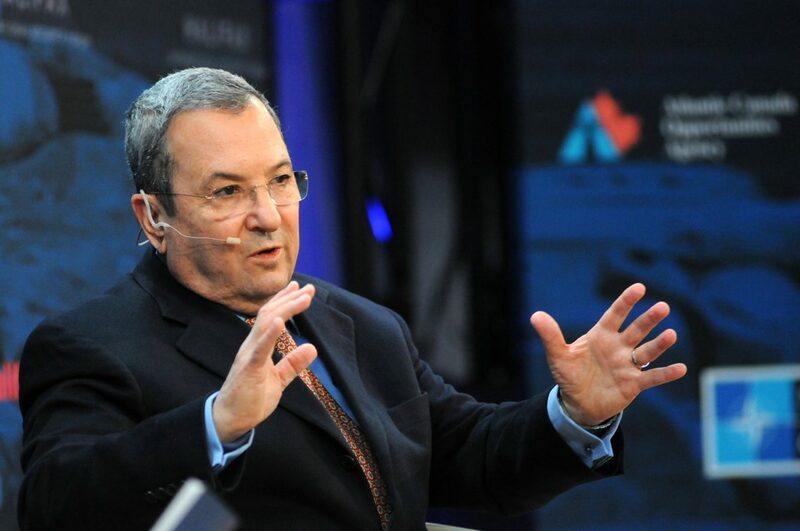 The Honorable Ehud Barak is minister of defense and deputy prime minister of Israel. 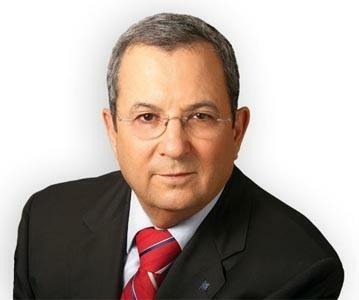 Mr. Barak served as prime minister of Israel from 1999 to 2001. He was appointed minister of internal affairs and minister of foreign affairs before his election to the Knesset and rise to leadership of the Labour party in 1996. Mr. Barak, a 35-year veteran of the Israeli Defense Force, served as chief and deputy chief of the Israeli Defense Force General Staff, head of Central Command, and head of the Military Intelligence Directorate and is the most decorated Israeli general. 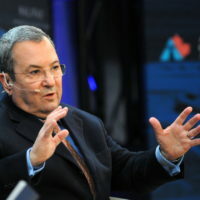 Upon his return to politics, Mr. Barak won leadership of the Labour party in 2007 and was appointed minister of defense. Mr. Barak is a graduate of the Hebrew University of Jerusalem and Stanford University. 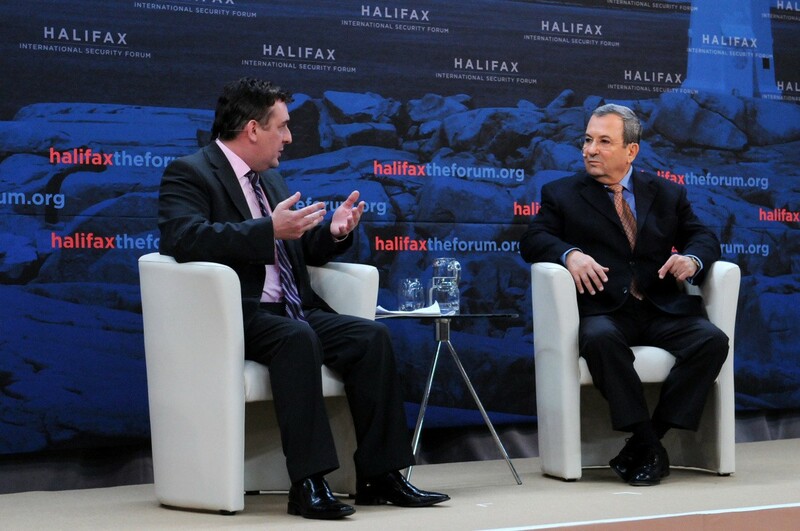 Robin Shepherd, Director of the Henry Jackson Society, hosted a 30-minute discussion with Israel’s Minister of Defense and Deputy Prime Minister Ehud Barak on Saturday afternoon. The Minister shared his thoughts on a number of topics, including the Arab Spring, Iran, Syria, and the Israeli-Palestinian conflict. 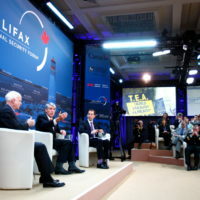 Mr. Jonathan Tepperman was appointed managing editor of Foreign Affairs in January 2011. 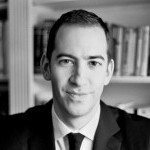 Mr. Tepperman started his journalism career at Foreign Affairs as a junior editor before moving on to Newsweek International, where he was deputy editor in charge of Asia, Europe, Africa, and Middle East coverage, and then to EurasiaGroup, where he was managing editor and a director. He has written about international and local politics, books and ideas for a range of publications includingThe Atlantic, The New York Times, The Washington Post, The Wall Street Journal, The International Herald Tribune, The New Republic, and The American Prospect. Jonathan has a B.A. in English Literature from Yale University and law degrees from Oxford and New York University. 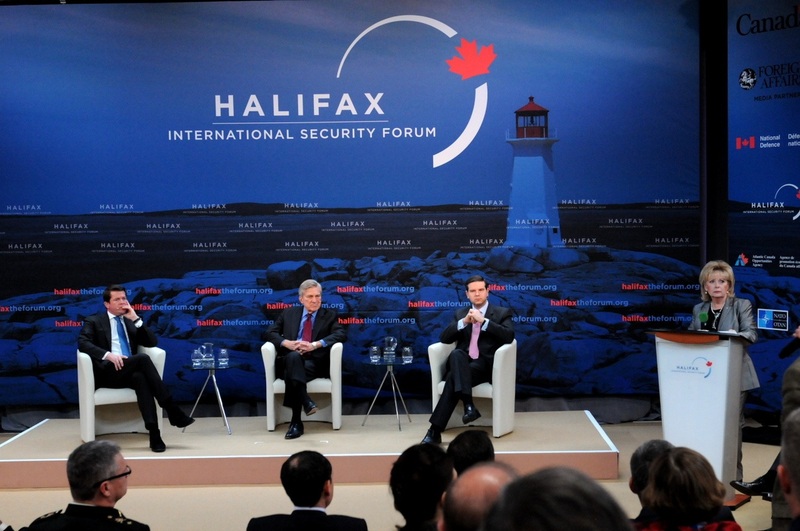 He is currently vice chairman of the board of Halifax International Security Forum. 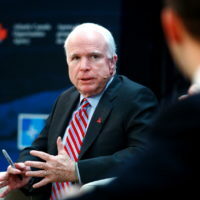 The Honorable John McCain is a Republican Senator of the state of Arizona. 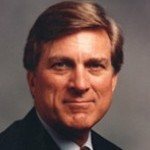 He was first elected to the U.S. Senate in 1986. 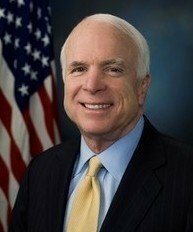 Senator McCain attended college at the United States Naval Academy and launched a 22-year career as a naval aviator upon his graduation. Senator McCain’s last Navy duty assignment was to serve as the naval liaison to the United States Senate. He retired from the Navy in 1981. His naval honors include the Silver Star, Bronze Star, Legion of Merit, Purple Heart, and the Distinguished Flying Cross. In 1982, he was elected to the U.S. House of Representatives from Arizona, serving until his election to the U.S. Senate. 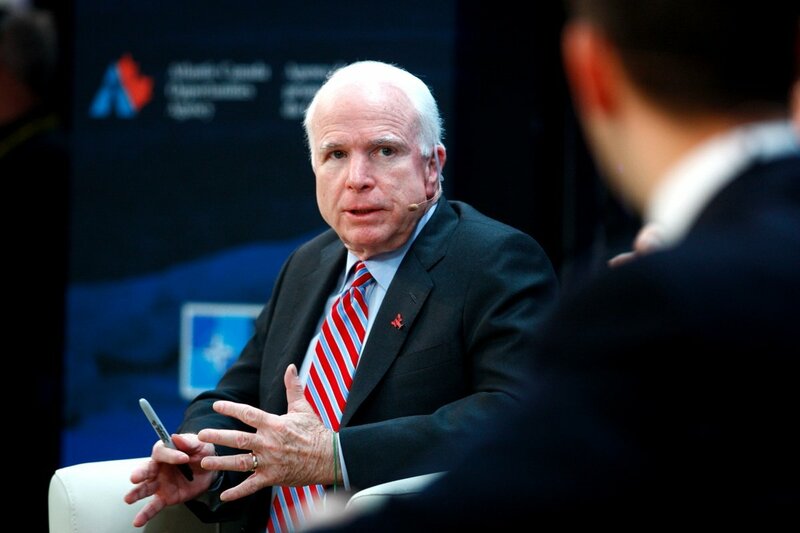 Senator McCain is currently the ranking member on the Senate Armed Services Committee. He also serves on the Committee on Energy and Natural Resources; Committee on Health, Education, Labor, and Pensions; Committee on Homeland Security and Governmental Affairs; and the Committee on Indian Affairs. 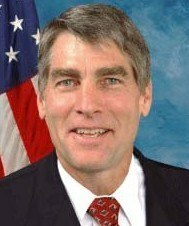 The Honorable Mark Udall has represented Colorado in the U.S. Senate and U.S. House of Representatives since 1999. 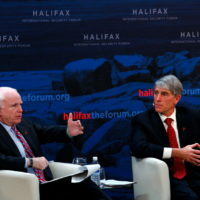 Senator Udall’s assignments on the Armed Services, Energy and Natural Resources, Intelligence and Aging committees give him a platform to address issues important to Colorado, and he is known for reaching across party lines to solve problems. His work spans issues from creating wilderness areas in our national parks, to promoting Colorado’s aerospace and high-tech industries, and championing health care for workers and retirees from the nation’s nuclear weapons complex. This year, he introduced the Department of Defense Energy Security Act to spur the Pentagon’s renewable energy development to curb its reliance on oil, reducing costs and increasing troop safety. 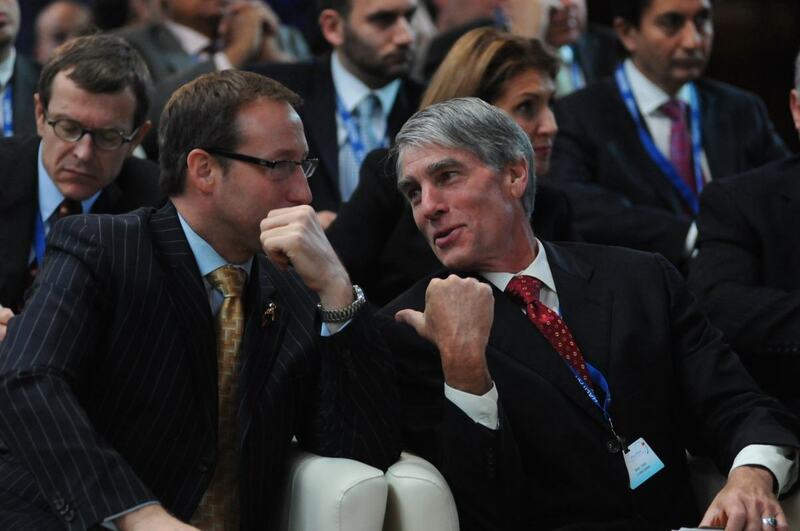 Senator Udall was born in Tucson, Arizona, graduating from Williams College in 1972, but he has spent his entire adult life in Colorado. An avid mountaineer, he was Outward Bound’s executive director for a decade. He now lives in Eldorado Springs with his wife Maggie Fox. With the US election season well underway, this conversation focused on political dynamics in the country and potential implications for US foreign policy and security strategy. 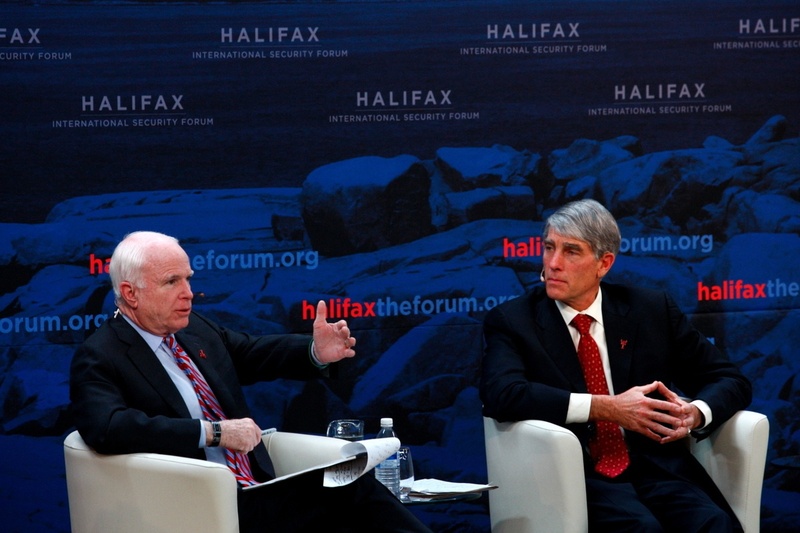 Senators John McCain and Mark Udall spoke to a variety of issues, as shown by the selection of quotes below. Ms. Jeanne Meserve is a member of the George Washington University Homeland Security Policy Institute and the Aspen Institute’s Homeland Security Advisory Group. An award-winning journalist, Ms. Meserve was a CNN anchored and served as the homeland security correspondent following September 11 covering a broad array of stories about terrorism, law enforcement, security and preparedness. 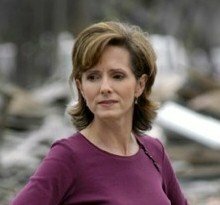 On the ground in New Orleans during Hurricane Katrina, she was the first to report on the devastating flooding inundating portions of the city. CNN’s coverage of the storm and its aftermath won a Peabody Award. Ms. Meserve received a B.A. in English Literature from Middlebury College. 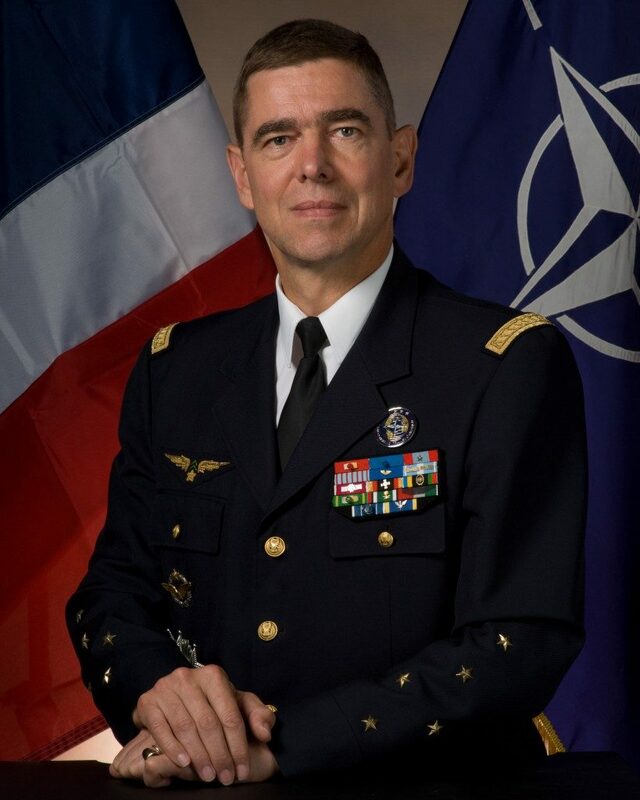 The North Atlantic Council appointed General Stéphane Abrial as supreme allied commander transformation in July 2009. He served as a flight commander in a unit of the German Luftwaffe from 1981 to 1984 and with a unit of the Greek Air Force in 1988. He served as commander of the French Air Force’s 5th Fighter Wing during Operation Desert Storm. From 1996 to 1999, he served at the NATO International Military Staff in Brussels. He completed several appointments in the private offices of the French prime minister and president, and went on to serve as head of the French air defense and air operations command, and finally as Air Force chief of staff from 2006 to 2009. General Abrial is a graduate of the French Air Force Academy; the U.S. Air War College, Montgomery, Alabama; and of the French Institute for Advanced Studies in National Defense. 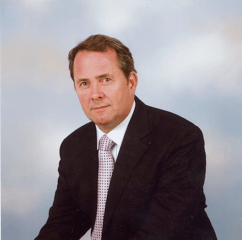 The Right Honourable Dr. Liam Fox was elected as a member of the British Parliament for North Somerset in 1992. In 1993, he was appointed parliamentary private secretary to Home Secretary Michael Howard and in 1994 assistant government whip and then senior government whip. Dr. Fox was a minister at the Foreign and Commonwealth Office from 1996 to 1997, before his appointment as Opposition Front Bench spokesman on constitutional affairs. He also served as shadow secretary of state for health, shadow foreign secretary, and shadow secretary of state for defence. He was secretary of state for defence from May 2010 to October 2011. Dr. Fox studied medicine at the University of Glasgow, worked as a civilian army medical officer and served in the voluntary sector as a divisional surgeon for St Johns before working as a general practitioner. 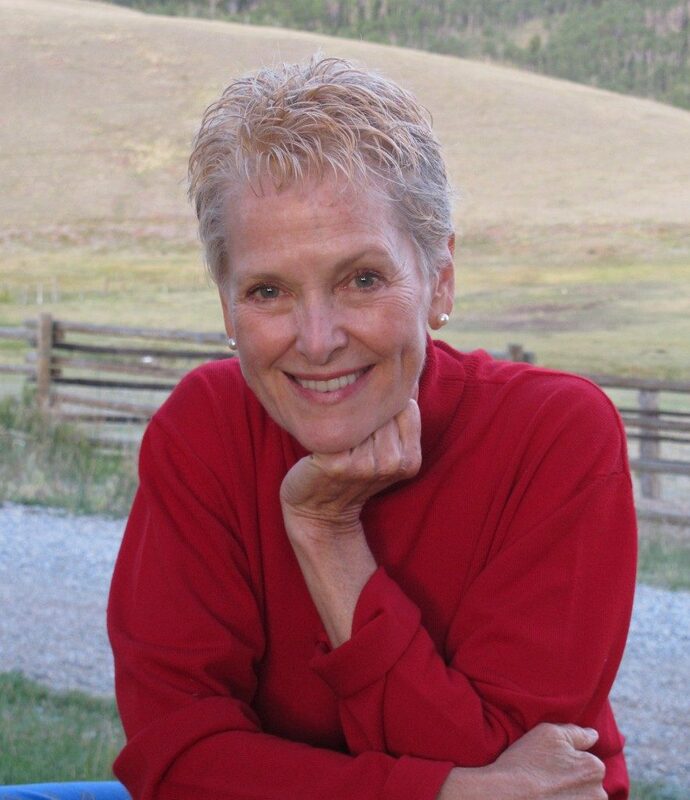 The Honorable Swanee Hunt chairs the Washington-based Institute for Inclusive Security. 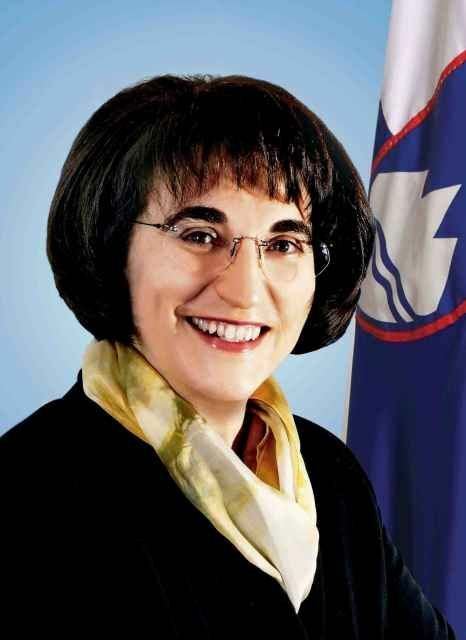 During her tenure as U.S. ambassador to Austria (1993–97), she hosted negotiations and symposia focused on securing the peace in the neighboring Balkan states. 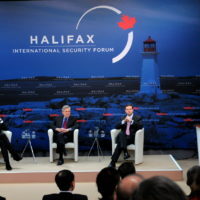 Ambassador Hunt is a member of the U.S. Council on Foreign Relations, the Eleanor Roosevelt Lecturer in Public Policy at Harvard University’s John F. Kennedy School of Government, and the president of Hunt Alternatives Fund. 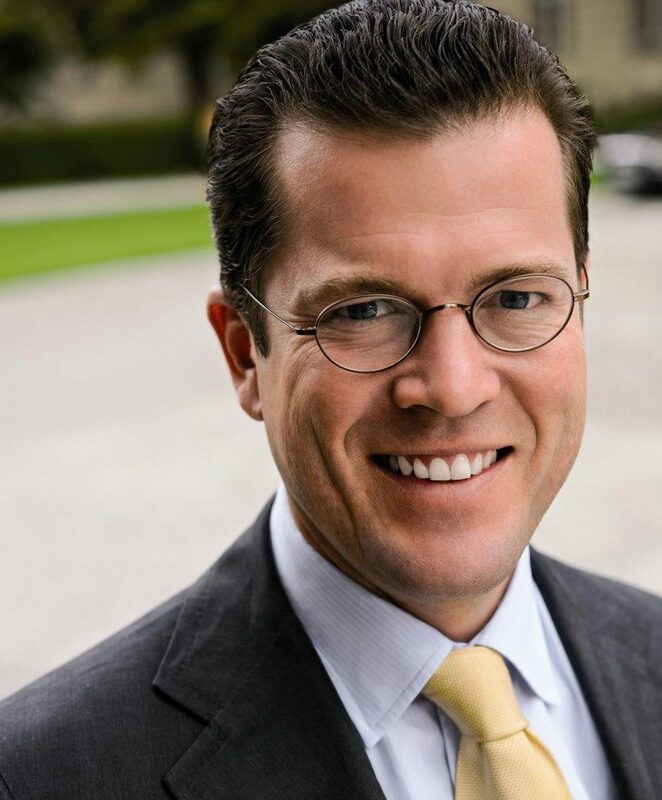 Ambassador Hunt has appeared on CNN, MSNBC, and NPR, and written for publications includingForeign Affairs, Foreign Policy, the International Herald Tribune, the Chicago Tribune, the Los Angeles Times, the Boston Globe, and the Huffington Post. She is the author of Half-Life of a Zealotand This Was Not Our War: Bosnian Women Reclaiming the Peace. 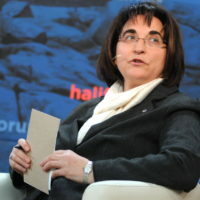 Dr. Ljubica Jelušič became the first female minister of defense of Slovenia in 2008. 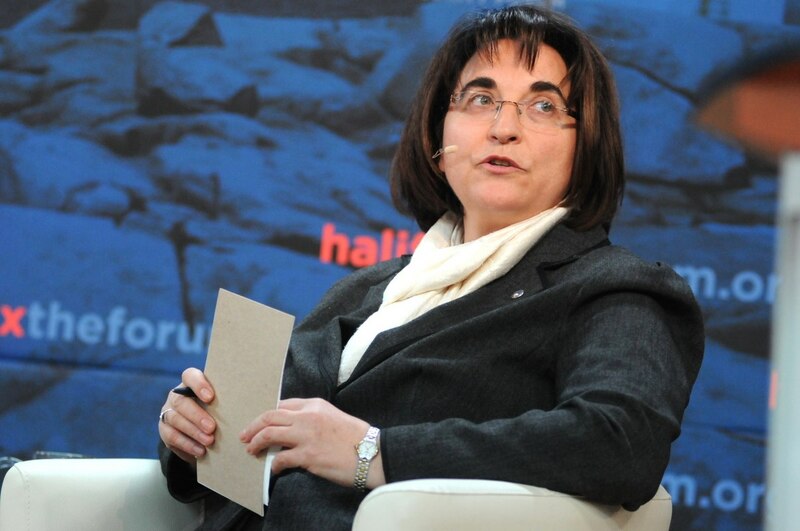 She has taught at the Faculty of Social Sciences at the University of Ljubljana in the area of defense studies, peace studies, civil-military relations, anthropology of war and peacekeeping operations. 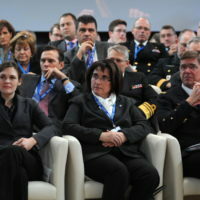 In cooperation with the Slovenian Armed Forces, she participated in senior and general staff military education and training at the Command and Staff School. Previously, she was vice dean for research at the Faculty of Social Sciences and chair of the Defense Studies Department. She also received the rank of lieutenant within the Territorial Defence of the Republic of Slovenia. Dr. Jelušič graduated with honours in international relations and defense studies at the then Faculty of Sociology, Political Science and Journalism and earned an M.S. and a Ph.D. in defense studies with a thesis on the legitimacy of the military. 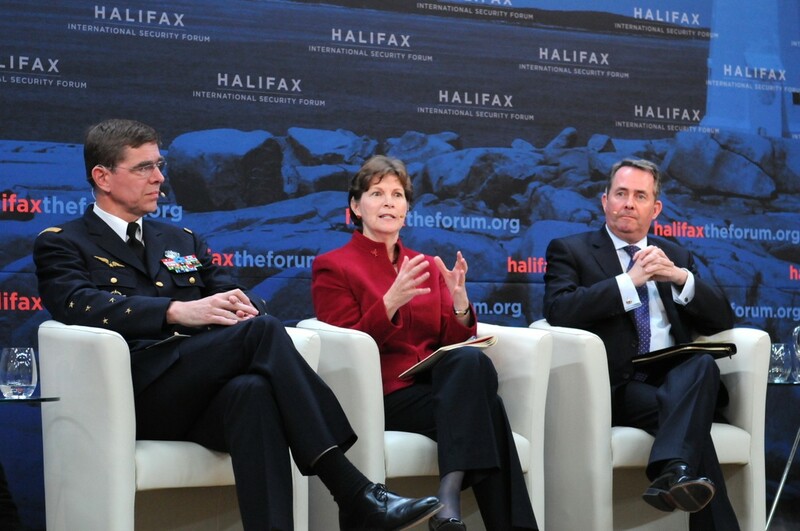 The Honorable Jeanne Shaheen is a Democratic Senator from New Hampshire. She was elected to the U.S. Senate in 2008. 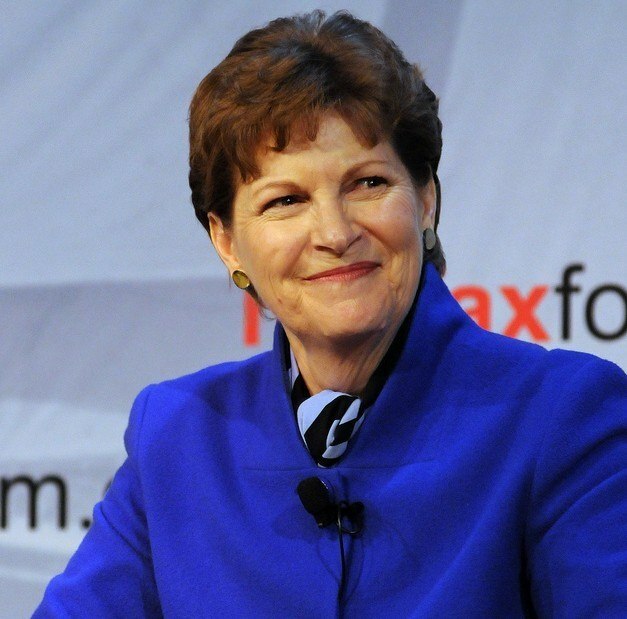 Senator Shaheen earned a bachelor’s degree from Shippensburg University and a master’s degree from the University of Mississippi. She became the first woman elected governor of New Hampshire, serving three terms from 1997 to 2003. During her governorship, she led trade missions to Europe and later spent time in Nigeria, Armenia, and the Middle East as an election monitor for the National Democratic Institute. In 2005, she became the director of Harvard University’s Institute of Politics at the Kennedy School of Government. She currently serves on the Commission on Security and Cooperation in Europe and is chair of the European Affairs Subcommittee of the Senate Foreign Relations Committee and the Energy and Natural Resources Committee’s Subcommittee on Water and Power. 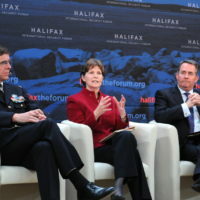 Senator Shaheen is also a member of the Armed Services Committee and the Committee on Small Business and Entrepreneurship. With countries around the world slashing defense budgets—panelists were asked for their perspectives on the meaning of “smart security.” Can democratic nations follow in the footsteps of NATO’s successfully coordinated campaign in Libya, avoid duplication in defense spending, and work together to meet common challenges? Panelists spoke to military budget items most likely up for cutting, and whether or not a more concerted approach could help countries meet increasingly complex security challenges on a tighter budget. Ms. Barb Stegemann, Chief Executive Officer, The 7 Virtues Beauty, Inc.